Since 1992, Patterson Veterinary has provided pharmaceuticals, medical supplies and equipment to equine veterinarians and practices. We also provide Signature Solutions that will help you strengthen and grow your business, while enabling you to provide the best possible patient care. 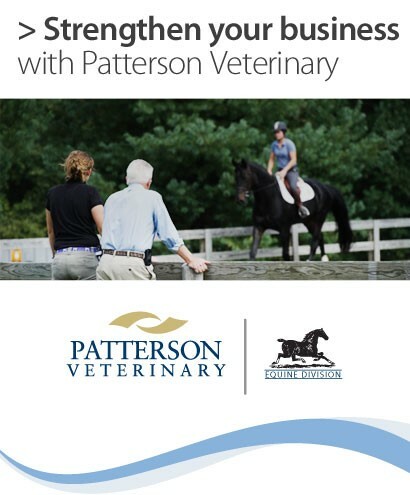 Every area of your equine practice will benefit from a strong partnership with Patterson Veterinary. Take advantage of our educational opportunities, home-delivery solution, client communication tools and practice management solutions to elevate your practice to new levels of success. Patterson Veterinary strives to be your single source for all of your equine veterinary needs. Call us today at 800-279-6452 to discover the many ways Patterson Veterinary can serve your practice!